9.00 am to 3.30 pm. Located in the heart of the Wairarapa, Carterton’s popular Festival offers an abundance of activities ranging from the famous Daffodil picking at Middlerun, Street Markets, Horse Drawn Surrey Rides, the Big Wai Art Sale in the Events Centre and loads more. 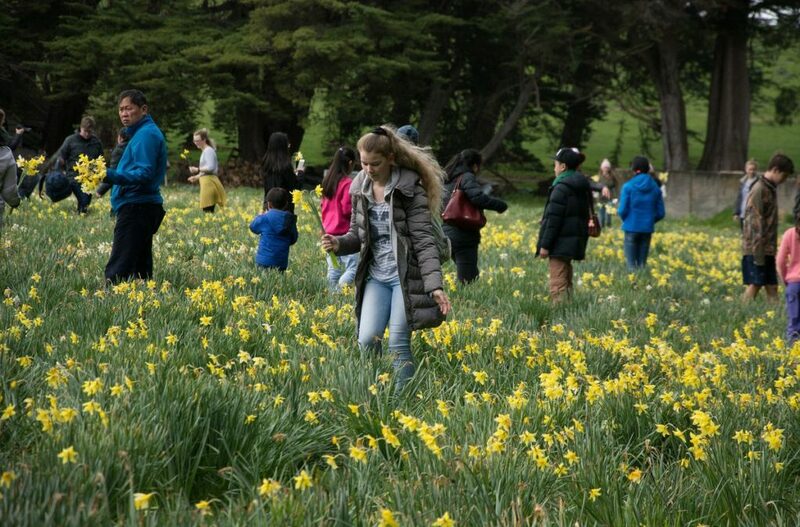 What is now for many a time-honoured tradition, the festival includes the of picking daffodils at Middle Run, a historic property at Gladstone. There will be FREE buses throughout the day starting at 10am from Broadway Street, to shuttle people to and from Middlerun. 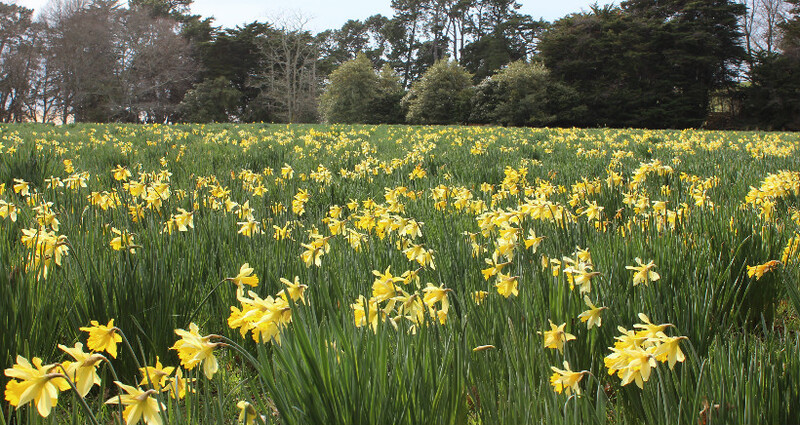 A small fee is charged to pick the daffodils with all proceeds going to the local charities Plunket and St John. The festival’s Street Markets boasts dozens of stalls featuring local arts & crafts, yummy treats, children’s rides and live entertainment. This year’s Festival will also see the welcome return of the Daffodil Express, an historic steam train that brings visitors from Wellington. 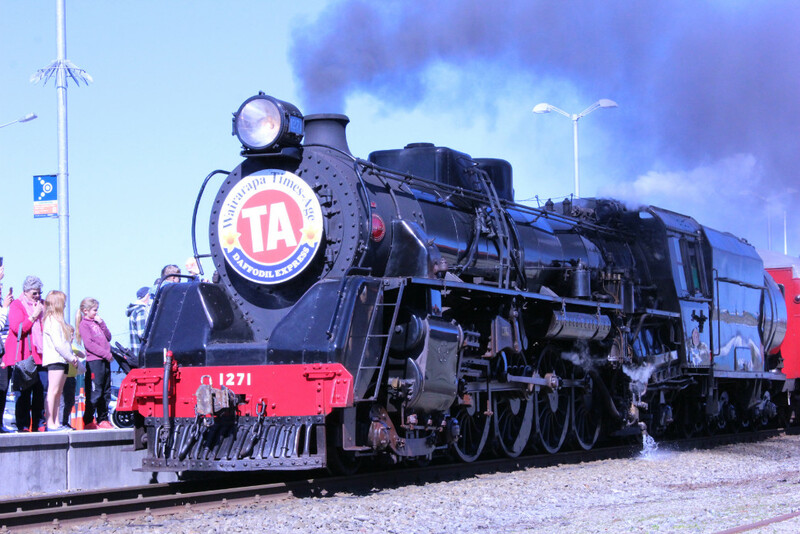 Operated by Steam Incorporated, the train will depart Wellington Railway Station and arrive around 10.30am. Visit Steam Incorporated’s website or facebook for further details. There will also be a chance to enjoy a short ride on the Daffodil Express between Carterton and Masterton. For further information on this contact the Carterton Railway Museum. People attending September’s Carterton Daffodil Festival will also be able to view remarkable artwork at the Big Wai Art Sale in the Events Centre and participate in the on-going activities. The Festival is organised by the Carterton District Council. The Street Markets are proudly supported & coordinated by the Lions Club of Carterton. To find out more information please contact events@cartertonec.co.nz or visit Carterton Events Centres Facebook page. Visiting from the Manawatu/ Kapiti Coast Region Region? Coast Coach Lines are happy to coordinate transport to Carterton for the festival. Visit their website for contact information. 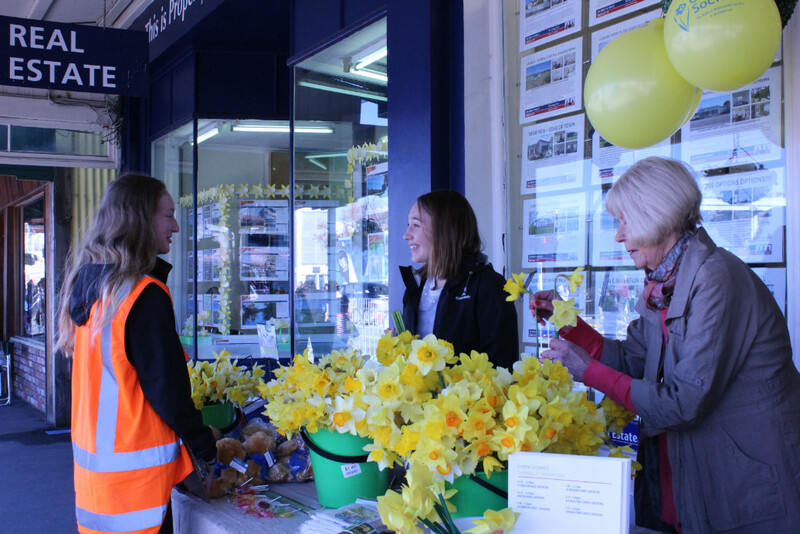 Each year the Carterton Daffodil Festival attracts over 4000 visitors for a fun filled family day out. Here is your chance to get involved as a stall holder and sell your product to keen shoppers. With plenty of stall location options this is a great way to get your products, be it home made items, arts and crafts or unique creations, out to new customers. Sites start from as little as $50, with covered or non-covered area options. Click here to download an application form or phone 06 379 5341 for further information. Visit us on Facebook to find out what this year’s Festival has to offer!